A compositional parallel program is a program constructed by composing component programs in parallel, where the composed program inherits properties of its components. 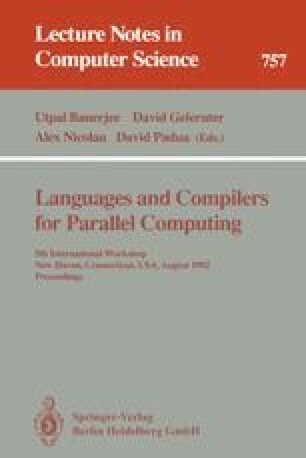 In this paper, we describe a small extension of C++ called Compositional C++ or CC++ which is an object-oriented notation that supports compositional parallel programming. CC++ integrates different paradigms of parallel programming: data-parallel, task-parallel and object-parallel paradigms; imperative and declarative programming; shared memory and message-based programs. CC++ is designed to be transportable across a range of MIMD architectures.